High on a rocky outcrop stands the Temple of Medusa. Just remember to wear a blindfold when you enter. 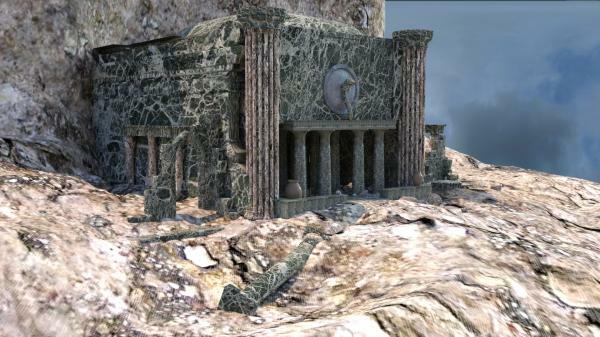 This is more an exterior scene where your hero can enter the temple but the rest is up to you. Keep the .Obj file with the maps folder in the same folder and the textures will map to the surface ok.
Rhadamanthus (2 years ago) Inappropriate?